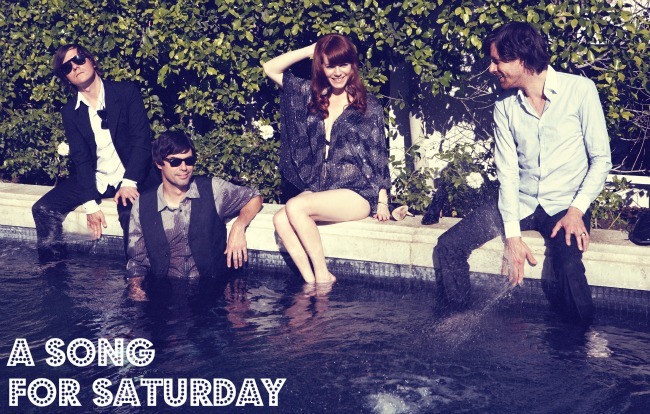 Amongst my favorite female singers, Rilo Kiley's Jenny Lewis stands out for her unique voice. It's so clear and strong and always seems to be so full of emotion that she couldn't help but sing. Years after discovering them, I am still obsessed with "Silver Lining" and "Breakin' Up," and I think their new song, "Let It Be Known" will have the same staying power. It's not a particularly happy song, but it still has a bright and clear sound that reminds me of spring. It's definitely a perfect accompaniment to a sunny Saturday morning with your coffee and the crossword, don't you think? PS: Methinks readers from California will have a special place in their heart for this one. Aw, I love Rilo Kiley! I used to listen to them so much during my university days! Loving this new tune! Ahh so good. I've been on a Rilo Kiley kick this week, this is the cherry on top. um still obsessed with both of those songs too.... they always find their way onto my playlists no matter what. I have the set list from there concert in I wanna say 2008 up in my room, signed by everyone. It was a great night all bc the drummer got a crush on my friend, thank goodness for her good looks ahah!